2. Development of the expert based network capable of delivering high quality education to specialists engaged in the delivery of services to humans with special needs. Synergetic effects, based on an interdisciplinary and multidisciplinary approach should provide substantial advances and remarkable results. 2) the general trends identified and tested in the Europe. With this in mind we propose to develop an educational network with a centre at the University of Belgrade, at the Institute “Mihajlo Pupin”. The specifics of the new curriculum is an interdisciplinary and multidisciplinary approach to education of professionals who must play important role in the improved quality of life of humans with special needs (physical disability caused by central nervous system lesion, peripheral injury (e.g., amputation), and aging population that is growing very fast). The curriculum addresses the topics of personal robotics, mechatronics, rehabilitation assistive technologies, man-machine interface, integration of web communication as the part of daily life (data storing and data sharing). The HUman-TOol interaction training Network (HUTON) will be the long-term standing basis for continuous, effective and problem centered education that is a milestone for providing better employment, more effective work and integration into the European market. The current status of curricula in RS in this domain is at the elementary level. 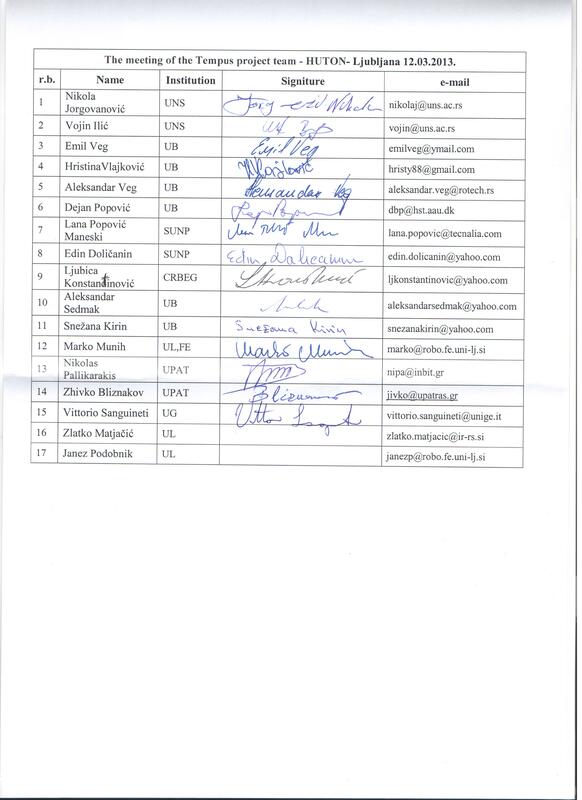 In parallel, the staff at the universities of Belgrade, Novi Sad and Novi Pazar is highly active and effective in the research and development of new technologies and in the teaching of courses that are not integrated into one curriculum. The foreseen direct beneficiaries are the clinical partners in HUTON, but the curriculum will be open to the whole RS medical sector. The main goal is to train professional so that can optimally use new technologies; thereby, improve the quality of life of humans with special needs. Starting from the above exposed general situation, the main objective of HUTON is to introduce, at the network level of RS, multidisciplinary and interdisciplinary studies at the graduate level, related to the application of modern tools and communication technologies to assist humans with special needs. The development of interdisciplinary and multidisciplinary studies for professionals is the TEMPUS priority for RS. Previous co-operation between the members of the network in the domain of research represents a firm background for the realization of the proposed project. Universities of Serbia have very strong mutual connections, including continuous and intensive co-operation. There are many engineers and doctors who are integrated very well in the modern educational system around Europe and they provide feedback on the needs and development in the education and practice. 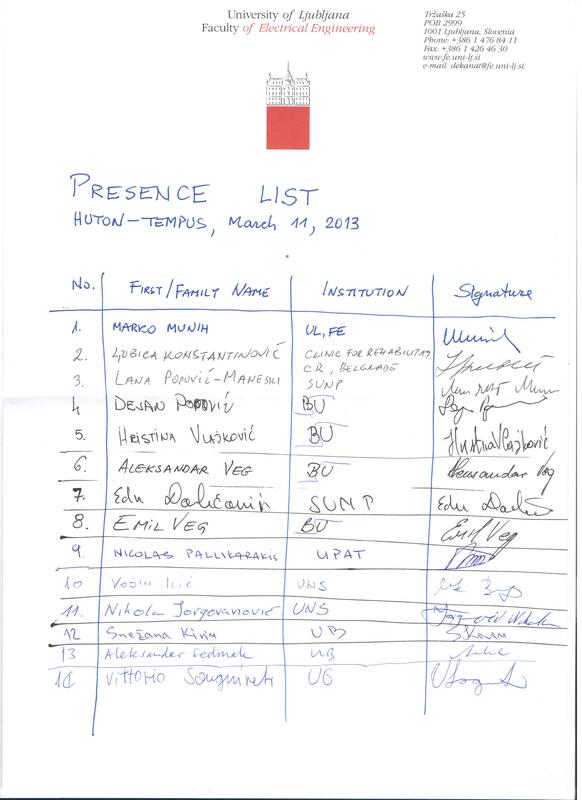 Contacts of the partner countries consortium members with the consortium members from EU are also well established and fruitful for many years, and concern the following domains: 1) Biomedical engineering: with the University of Patras, Greece; 2) Robotics and Biomedical Engineering, Data analysis: with the University of Ljubljana, Slovenia; and 3) Robotics, Rehabilitation, Control: with the University of Genoa. 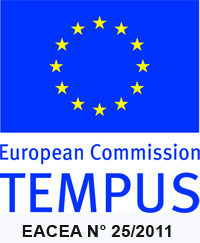 Most consortium members have large experiences with Tempus and other EU-funded projects, although in different areas. The integrated approach of the proposed work will follow the principles of social constructivist learning theories, where the whole network provides a training environment which allows its members to develop and construct professional and personal skills. A mentoring program will be employed to support researchers to take responsibility in managing their own learning and development in order to maximize their potential, develop their skills, improve their performance and act proactively on their personal and professional lives. The network’s training approach supports early stage trainees and experienced trainees through practical training from knowledge presentation to conceptual understanding, thus helping them to identify their own existing skills and competencies. Emphasis will be paid to the trainees’ development of relational and communicative skills that are vital to understanding and interacting effectively with their work environment, either in the lab or in a company. These skills include the ability to act based on self-awareness and to figure out how to get started on a problem; the ability to plan around priorities according to the time management and effective communication; the ability to appropriately express and share goals, ideas, prospective, outcomes; to cooperate while addressing problems in a group for enhanced outcomes that emerge through the contributions of all individuals; and the ability to anticipate and develop future action plans and to make appropriate choices. These transferable skills will be tailored to each fellow’s needs and progress will be monitored through Individual Skills.